Right now you can grab a pair of Children's Rain Boots for $14.99 (Retail $24.99). 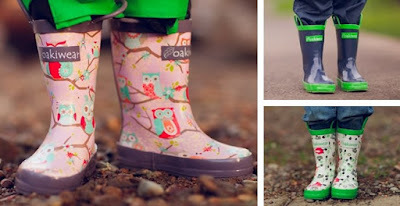 Oakiwear is excited to introduce our new line of KIDS traditional rain boots! Made of 100% rubber, our boots include topside handles for easy pull-on and these boots are sure to keep your kiddos dry in the rain and puddles. Our new Rubber Rain Boot sizes pretty true to size, so if your child wears a size 12 shoe, they will likely wear a size 12 in our Rubber Rain Boots. Oakiwear's mission is to get kids outdoors, and we do this by offering a head-to-toe variety of kids rain and winter wear! It's a new month which means there are a ton of hot new coupons available today! Hurry over and print your favorites before they reach print limits. Warmer weather is here and I just grabbed this Infuser Water Bottle Sport Flip-top BPA-Free Tritan 25 Oz (Multiple Infused Water Color Options) for $16.95 - because I'm honestly to lazy to shop instore! Love using this for water or alcholic beverage! YOUR SATISFACTION GUARANTEED: We are so sure you will love your water bottle infuser, we have a no-hassle 30-day satisfaction guarantee. You also get a Limited Lifetime Warranty, that includes accidental damage. Best teacher, stocking stuffer or premium holiday gift idea - your friends and family will love it - guaranteed of course. Amazon - Save Up to 50% Off Women's Sleepwear "Mother's Day"
Here's another great gift idea for Mom! Right now you can Save Up to 50% Off Women's Sleepwear! For example this Layla Women's Knit Short Wrap Robe is $34 (Retail $68). Still needing to grab a Mother's Day Gift? 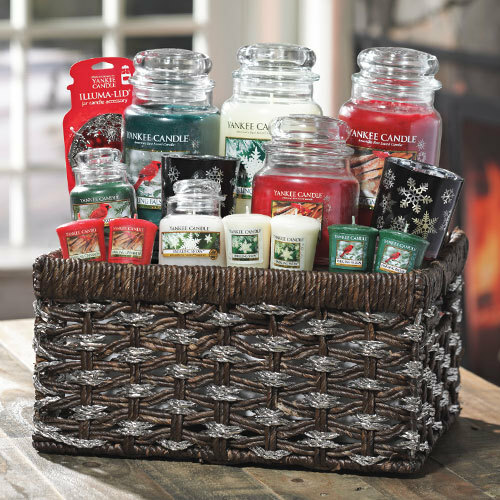 Check out Yankee Candle where you can score this 9-pc Gift Set ONLY $25 with a purchase of $50 or more—a $100 value! This beautiful tote is packed with eight Yankee Candle fragrance finds! Includes one Pink Sands™ Medium Jar Candle, one Catching Rays™ Small Tumbler Candle, two Samplers® Votive Candles—one each in Red Raspberry and Blue Summer Sky, one Clean Cotton® Room Spray, one Lemon Lavender Fragrance Spheres™, one Strawberry Lemon Ice Smart Scent™ Vent Clip and one MidSummer's Night® Car Jar® Ultimate. Includes one Large Jar Candle, one Small Jar Candle and two Samplers® Votive Candles in Sparkling Balsam and Sparkling Snow™; one Large Jar Candle, one Medium Jar Candle and two Samplers® Votive Candles in Sparkling Cinnamon; two Snowflake Votive Candle Holders and one Snowflake Illuma-Lid® Jar Candle Topper. That's ALOT of Candles from Yankee Candle if you break it out for gifts!! Check out these hot deals on pool toys and floats! Zulily has this sale every year and they really are some good prices! You'll find outdoor seating, coolers, floating toys galore and many more poolside picks for the family. I ♥ the Water Wheel Float that we've had for the past few years. If you're an Amazon Family member (it's free to sign up with a Prime Membership here), you automatically save an additional 20% off your diapers purchase when you choose Subscribe and Save! Even sweeter, you can currently score an extra 30% off select Huggies brand diapers when you clip the coupon available. 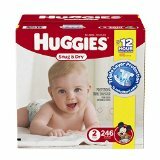 Combine the coupons below with the Amazon Family discount for HUGE savings on Huggies diapers! Hurry over and grab your princess this Dimple Child Dream Dresser Toy Vanity Set with Lights, Music, and More for ONLY $34.99 (Retail $54.99)! Mirror on the wall, who's the fairest of them all? From brushes to perfume, this vanity set has your little one covered. Comes with toy blow dryer, assorted brushes, hand mirror, bracelets, toy perfume &amp; makeup, tiara and more! 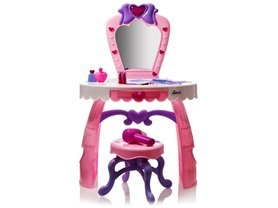 Comes with a stool so your little one can primp in front of the mirror. Dresser has a drawer to store their beauty products. Mirror plays multiple tunes while they get ready for a full day of imaginative play. Been looking for an Umbrella? 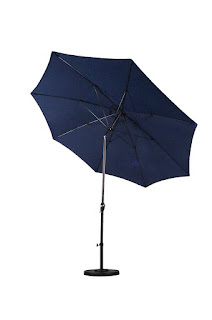 Today ONLY - Save Up to 65% Off select California Umbrellas! Head over and browse around the size, style and color that fits your needs! **Price can change at anytime.